J'irai en France un jour. I will go to France one day. Tu iras à la fête samedi? Elle ira en Italie l'année prochaine. She will go to Italy next year. L'année prochaine, nous irons en Espagne. Next year, we will go to Spain. Vous irez au Japon cet été? Will you go to Japan this summer? Ils iront bientôt en vacances. They will go on holidays soon. En 2500, les Hommes iront coloniser Mars. In 2500, Men will go and colonise Mars. J'irai te rejoindre à la fin de l'été. I will go and meet you at the end of the summer. Nous irons visiter la tour Eiffel quand nous serons à Paris. We'll go and visit the Eiffel Tower when we're in Paris. Aurélie: A very frivolous remark... i think you should add this translation to your possible list of answers: “we will iron at the library!”. Sorry I can’t help myself..some of your translations are so funny! "Nous irons visiter We'll go and visit." I would translate this to English as "We'll go to visit." 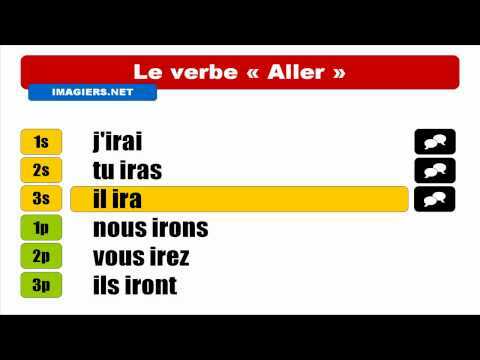 Would that also be "Nous irons visiter " in French. "Nous irons visiter le Louvre et Le Musée d'Orsay la semaine prochaine", can be "We'll go and/to visit the Louvre and the Orsay Museums next week". Or "Nous irons rendre visite à mes parents en même temps" is, "We'll go and/to visit my parents at the same time". Rendre visite à quelqu'un for, to visit people. Thanks for your explanation Cécile. I was having trouble with the translation of "aller+(verb infinitive)" into "go and (verb infinitive)", whereas "aller+(verb infinitive)" makes perfect sense to me as "go to (verb infinitive)". Maybe it depends on where one learnt English.